The West's image of Islam has been hijacked by extremists, delegates at the recent News Xchange broadcasting conference in Amsterdam heard. 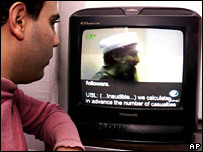 Debate was prompted by the results of a Kuwaiti government survey that found the depiction of Muslims in the US and European media was "typically stereotypical and negative". Several speakers concluded that the role of the media should be to understand and illustrate the complexity of the Islamic world, rather than dealing in such generalisations. The session began with Chris Yalonis of Communique Partners presenting the findings of a new international survey, "Western perceptions about Islam and Muslims", which he carried out on behalf of the Kuwaiti Ministry of Awqaf (Endowments) and Islamic Affairs. He said there was a paradox between the perception by many Europeans of their Muslim neighbours and colleagues as "good people", while Muslims they see on television are often depicted as "terrorists". Muslims rated lowest in overall favourability among various religious groups. Ignorance of and lack of empathy with Islam is widespread. The portrayal of Arabs and Muslims varies according to the type of media, "but it is typically stereotypical and negative, although improving especially in certain prestigious news organisations". TV documentaries and news are the most influential media in influencing feelings about Arab Muslims, followed by newspapers. Nearly three-quarters of respondents believe that the media depicts Arab Muslims and Islam accurately only half the time, not often or never. Trevor Mostyn, an analyst of European media interviewed by the survey team, said: "Television loves the image of the ugly, ferocious blood-curdling Muslims." Articulate, "mainstream" Muslims are rarely seen on TV in Britain, Mostyn asserted. The News Xchange session on "Reporting Islam" saw a passionate debate during which some Arab journalists complained that Muslims were frequently demonised in the Western media, while many European broadcasters stressed the need to avoid using inflammatory terms and to give airtime to moderate voices as well as extremists. 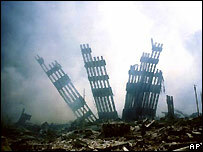 Abdul Bari Atwan, editor of the London-based paper al-Quds al-Arabi, complained of the West's coverage of the Muslim world, saying that when radical groups "hijacked" Islam, Western media simplistically depicted this as "Muslim terrorism". He added: "Whatever we do, we are still rejected by the West... As a Muslim in Europe, which is supposed to be the continent of human rights, I am really frightened." Wadah Khanfar, managing director of al-Jazeera, said many media and correspondents failed to differentiate between the Muslim religion and cultural tradition. He too agreed: "We should abandon simplistic coverage." Feelings ran high when Ayan Hirsi Ali, the Somali-born Dutch MP whose criticism of Islam sent her into hiding after the murder of Dutch filmmaker Theo Van Gogh, spoke. She accused Arab journalists of seeing all problems as caused by some outside force, and said they should engage in more self-reflection. Her remarks that "there is a total lack of freedom in the Arab and Islamic world", as well as "a lack of equality for and a culture of violence towards women", provoked angry denials and denunciations from many Arab and other journalists in the hall. "Things are being done in the name of religion, but it's not good enough for the media to describe them simply as Islamic," concluded Phil Harding of BBC World Service, summing up what emerged as the majority consensus after a very heated discussion.